Living (the best of) Life in My Dreams: A "Meh" Kids' Book - My Review of How Do You Say Good Night? A "Meh" Kids' Book - My Review of How Do You Say Good Night? I have read many children's books through the years and not all of them stand out as being especially cute or especially interesting. 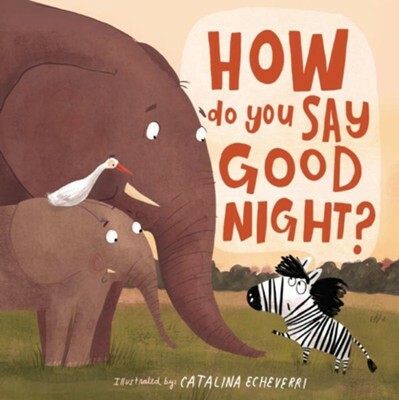 I was happy to have the chance to read and review How Do You Say Good Night? because I love reading books to share with my nieces and nephews. I was disappointed with this book, though, because it did not seem to be anything special. The pictures in this book are a little bit cute and fun and interesting but I've seen better. This book is appropriate for toddlers and preschoolers. The story of this book is kind of cute. This book introduces children to animals that they might not have heard of before. The story of this book is fictional - of course - yet I think children might be confused by it and think that animals actually do the things described in the book. This is written in a kind of long and dragged out way and I think it is kind of boring. Overall, I didn't think this book was anything special. I give How Do You Say Good Night? 3 out of 5 stars.